Bluetooth continues to be a big theme among the CES 2018 announcements, although Bluetooth 5.0 continues to be hard to find in headphones, even though more and more smartphones support it. The new CH-series trio of headphones is all closed-back with bluetooth 4.x with NFC. Two of them are over-ears, while the CH-400 is an on-ear. The CH-700N is also an active noise canceller and it supports apt-X and apt-X HD in addition to AAC which is supported by all three new models. I haven’t seen any LDAC mentions in the specifications. Strangely, the leader of the pack, the CH-700N supports bluetooth 4.1 while the other two support 4.2. Price-wise, the CH-400 on-ears go for $60 and are available in four colors. The CH-500 over-ear starts at $80 and is available in only one color, while the CH-700N has a $200 price and is available in three colors. They are all under the WH- umbrella. Mirroring the trio pattern of the CH-series over/on-ears, Sony also revealed a trio of bluetooth earphones. The leader of the pack is the SP600N that has active noise cancelling and a starting price of $150. The other two are without ANC, they are the SP500 for $80 and the WI-C300 for $50. All three will be available in four different color schemes each. They support bluetooth 4.2 (AAC, SBC) with NFC, except for the flagship which is running bluetooth 4.1 instead. Mayhaps it’s something about ANC that has both the leader of these and the CH-series above being on a slightly older version of bluetooth. 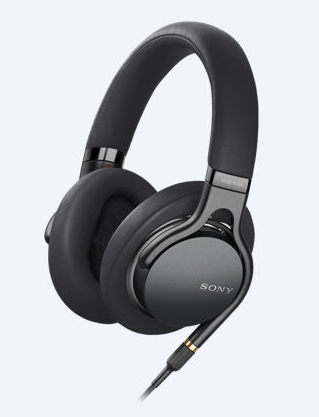 Active noise cancelling is a feature in some of the “truly wireless” little critters and one thee critters is the new Sony WF-SP700N, going after consumers with a $180 price and four different color schemes. They have IPX4 sweatproofness, “ambient sound” option, “Extra Bass”, bluetooth 4.1 with AAC and SBC only. NFC is available but it’s on the charging case, not the earbuds. As with most “truly wireless”, they come with a charging case, you can’t charge the earbuds directly for the simple reason of there’s only so much they can stuff into the poor earbuds.